The Christian Defense Coalition will be holding a Facebook LIVE prayer gathering on Sunday, December 23, at 2:00 pm EST from the site of the Chinese Embassy at: 3505 International Pl NW, Washington, District of Columbia 20008. The group will be praying for the persecuted Chinese Christian community that has faced a dramatic increase of attacks by the Communist Government over the past year. The display of the large cross at the Chinese Embassy is also a powerful public reminder that the American Christian community is standing in solidarity with the church in China and also affirming the principles of religious freedom and public expressions of faith in front of Chinese government officials. The prayer vigil will be led by Rev Patrick Mahoney who is the Director of the Christian Defense Coalition in Washington, DC. Rev Mahoney is a longtime advocate for human rights and religious freedom in China and with, two other activists, was arrested in China during the Beijing Olympics and threatened with a six month prison sentence for their peaceful public witness. Rev. Mahoney states; “As we gather in prayer and public witness at the Chinese Embassy, we are fulfilling the teachings of Hebrews 13:3 which challenge us to remember those in prison as if we were in prison with them and those who are being mistreated as if we ourselves were suffering. 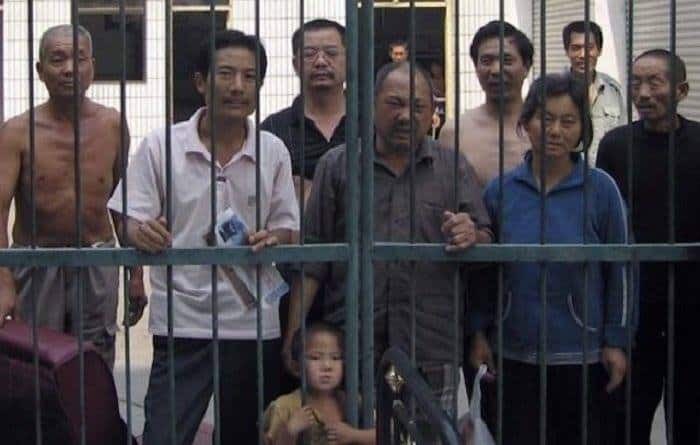 “The American Church cannot be silent or indifferent when it comes to the persecution and violence directed toward our brothers and sisters in China. We must continue to be a loud, prophetic and public voice for justice. As we pray for their protection and safety, we also pray that Chinese government officials would end their brutal attacks against people of faith and embrace the universal principles of religious freedom and human rights for all. It is especially troubling to see these increased attacks against Christians during the Advent and Christmas season.